Someone I know recently hosted a sports talk show solo for the first time. He had co-hosted for years but this was his first time working alone. He said he realized the difference with about two minutes left in his opening monologue. He had run out of stuff to say. They were the longest two minutes of his life. The extra time it takes to prepare more than you might need far outweighs the terror of not having enough. Use the Sports Talk Topic Tree to help you develop many takes on topics. Over-preparing also includes planning your show so that you know what you will be doing each segment. You should be doing this for team shows, as well. Writing out what you want to say allows you to think through your takes and choose the most powerful words. It also allows you to time how long it’s going to take to deliver the script. If you need more, add more. Jim Rome scripts many of his takes. So does Colin Cowherd. I did as well, though with far less success than Jim and Colin. Remember this about scripts: it’s okay to deviate when you are on-air. Detour for a spontaneous thought, then return to the page. Play the hits: Address stories that are of most interest to most of your audience. Opinions: Have them, research them, support them, defend them. Preparation: Support your opinions with facts. Go inside the issues: Tell your listeners what’s new, what’s next and what is possible. Make it relatable: Give context to issues by drawing parallels to similar situations in other sports, pop culture, your personal life, etc. Storytelling: Drive your point home by sharing first-hand experience & observation. Give listeners something they can’t get anywhere else. Every segment should include at least one story. 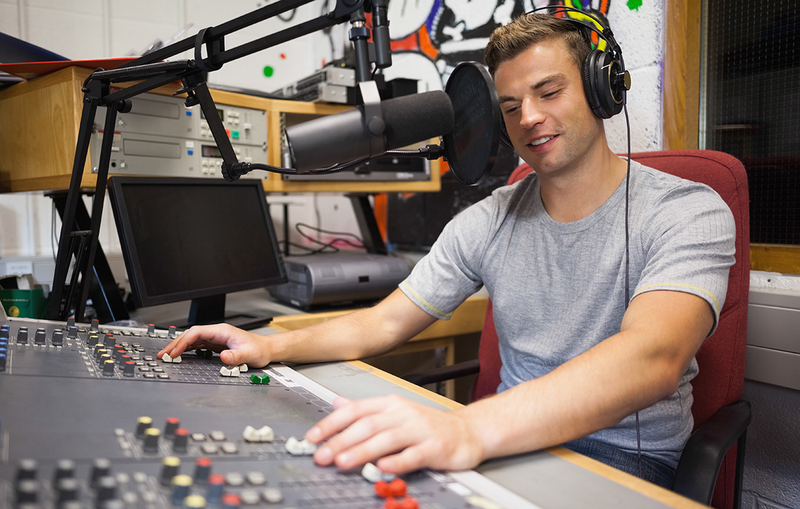 Production value: Use audio elements to enhance your spoken presentation. There are several more but these are the biggest. I always preferred solo hosting. You can take monologues and interviews whatever direction you want and go as in-depth as you want without worrying that your co-host is going to prematurely change direction.